YESTERDAY’S article discussed the pros of participating in an exit interview after handing in your resignation — namely, to maintain cordial ties with the company, and to give the management your insights on areas that could be improved on. Today’s article covers the cons of taking part in an exit interview and some questions you are likely to be asked. Although most companies use exit interviews as a means of identifying issues to bring about positive change, this is not true of all of them. For example, some use them as fishing expeditions to ascertain whether departing employees intend to take legal action against them after they have gone. If you do intend to sue your employer or if you mistrust the company’s motives for inviting you to take part in an exit interview, then it is always advisable to decline. 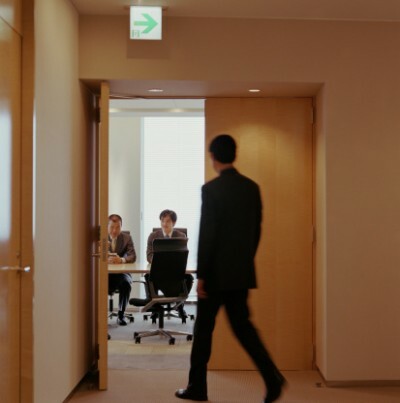 Some of the questions that are commonly asked at exit interviews might seem like an invasion of your personal privacy. The format of exit interviews varies. Some take the form of face-to-face meetings during which the interviewer records your responses while others require you to complete a questionnaire. Either way, providing meaningful responses does require time and effort that you may not wish to expend. Where questionnaires are used to obtain the feedback of outgoing workers, some companies claim that the information is gathered and treated anonymously. Unless you have 100 per cent trust in your employer not to use your comments inappropriately or in a way which might be harmful to your future professional life (such as by noting them in your personnel file or including them in references provided to other employers), you could be running a huge risk by filling in the form. Getting the balance right between providing feedback that is helpful and constructive but positive nevertheless can be extremely tricky. If you do say anything negative at this stage of the game, it could well come back to haunt you in terms of a poor reference or by closing the door on any chances of being able to return to the company at a later date. If you make derogatory comments about a manager or leader which get back to them and you come across this person as a boss, a co-worker or even a client in the future, then you could find working with them extremely difficult. Do you have any additional reasons for leaving and if so, what are these? What was the catalyst that triggered your decision to leave at this particular time? Were you exposed to any discrimination or harassment during your time with this organisation? Could this company have done anything that would have affected your decision to leave? Before making your decision to leave, did you look into the possibility of a transfer or a change of role/responsibilities? How would you describe your boss’ line management capabilities? Did your line manager support and motivate you? Did your line manager provide you with regular and adequate feedback on your performance? Do you think that you were provided with sufficient training to enable you to do your job effectively? Were the duties and responsibilities of your role as you expected them to be? What did you find most/least satisfying about your job? Do you think there was anything that we could have done better in terms of making you feel welcome and in terms of your induction? Did the company meet your needs in terms of training and development opportunities? How would you rate your work environment and working conditions? How do you think the workplace and the working conditions could be improved? Were you satisfied with the compensation package that you received? How would you rate the organisation’s performance and salary review system? What do you like most/least about this company? How would you describe the organisational culture of this organisation? What do you think the organisation would need to improve in order to retain its best employees? Given the right set of circumstances, would you consider working for this company again in the future? Is there anything this company could do that would convince you to reverse your decision to leave? Article by Julia Hingley, associate writer, Sandbox Advisors, a career management, job search and HR consulting firm based in Singapore. Visit www.sandboxadvisors.com for more information.